We were impressed enough with this recent photo posted by the Standing With Stones founders within the Standing With Stones Community Facebook group to request permission to reproduce it here. 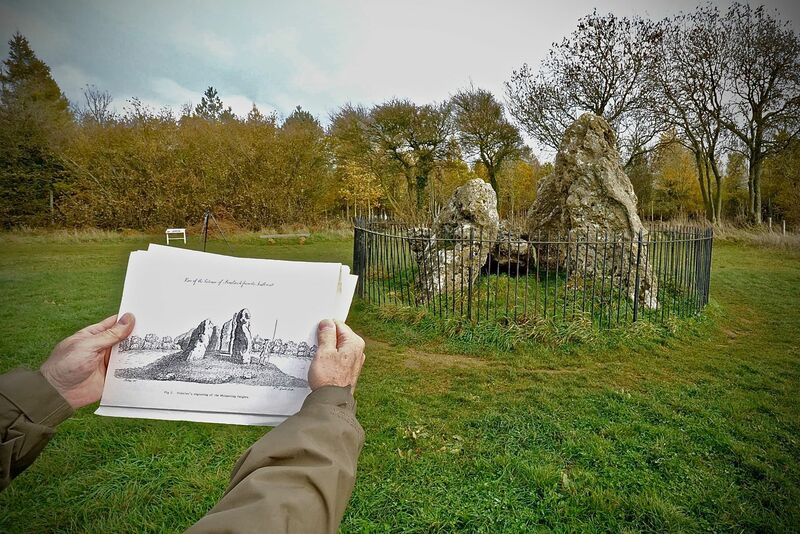 It provides a comparison between an antiquarian drawing by William Stukeley from some 270 years ago, and the site as it stands today: the Whispering Knights in Oxfordshire. © Standing with Stones. Reproduced by permission. Looking at this photo, it occurred to us that many of our readers visit such sites on a regular basis. Also, antiquarian sketches of many ancient sites are readily available from internet searches. So why not put the two together? If you’re planning a site visit, why not take the time to spend a few minutes in preparation to see if an antiquarian sketch exists? If it does, print it out and take it along then take a snap of both the sketch and the monument from the same or a similar position, and send it into us. We’ll be more than happy to publish any that we receive. « Breaking News: Oxford Uni offers Metal Detecting for Archaeological Posings!